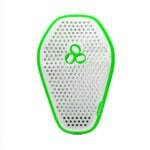 In order to maximize the protective powers of the MT500 helmet, Endura opted for unconventional materials and decided to replace key sections of EPS foam with the Koroyd system. Forming a honeycomb-like structure with Koroyd-engineered polymer tubes, the tubes deform linearly in the event of a crash, significantly reducing the max g-force the brain is exposed to. The additional benefit is visible after a crash: unlike a model with EPS foam, Koroyd easily reveals whether the helmet is a write-off or whether it’s still fit for service. Out on the trails the Endura delivered supreme comfort, extensive adjustment options, and good airflow. 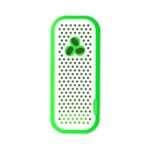 Its package is completed with mounts, goggle compatibility, and a contemporary design aesthetic. The Endura MT500 represents a new generation of helmets that exceed all current standards and prioritize the rider’s safety. 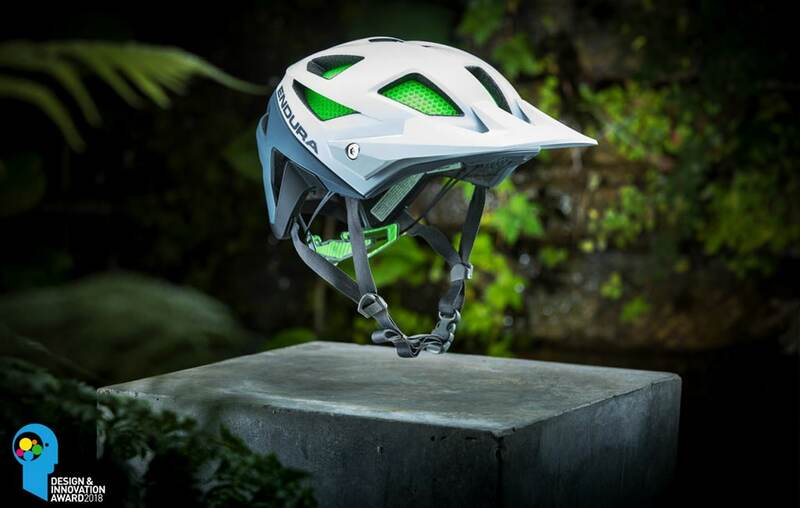 The MT500 Helmet redefines the safety standard for a modern mountain bike helmet, in looks, safety and performance. Integrated into the core design of the MT500 Helmet, Koroyd’s engineered tubes absorb energy in a more linear fashion than traditional foams during an impact and are a key technology enabler that allow the MT500 to reduce maximum g-forces in the event of an impact. Compared to the 40% chance of skull fracture* whilst wearing a helmet that passes the European Safety Standard at its threshold, Endura’s MT500 Helmet achieves a staggeringly low result – less than 5%. Looking at the Head Injury Criterion (HIC) index, an internationally recognised metric developed by the automotive industry, the risk of fatal traumatic brain injury when wearing the MT500 Helmet with Koroyd’s tubular core is again reduced to less than 5%*, compared to a shockingly high 77%* at the acceptable level for motorcycle helmets meeting European certification. 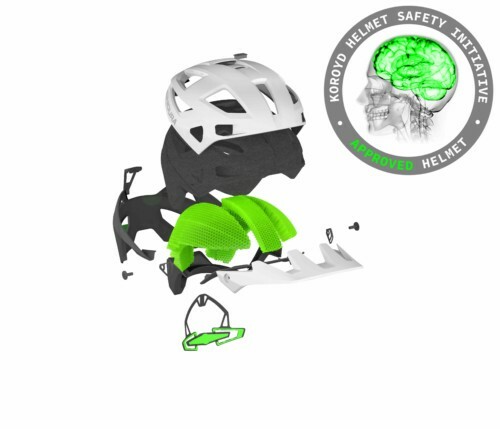 Find out more about the Koroyd Helmet Safety Initiative here. Such strong emphasis on safety and function does not come at the expense of style. The MT500 Helmet has a strikingly modern aesthetic to complement its game-changing performance. Offering the best of all worlds, it is safe and stylish, and available in a new Mango colourway for 2018, complementing the existing White, Black and Navy options. Enduro Magazine’s awards panel of select international journalists, professional test riders, and industry experts recognised that the MT500 Helmet represents a new generation of helmets that exceed all current standards and prioritize the rider’s safety whilst at the same time providing supreme comfort, extensive adjustment options and a contemporary design aesthetic.